The JM-VP-12001 is a set of Wheel Dollies / Vehicle Positioning Jacks designed for lifting and moving entire vehicles under 5,000 LBS.!. Set of 4: $374.95 - Buy 3, Get 1 FREE! 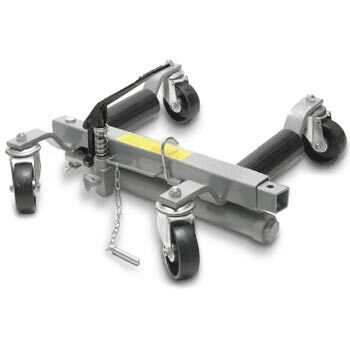 The JM-VP-12001 Wheel Dollies' weight is just under 48 LBS. EACH, or 192 LBS. as a set of 4. If you have any questions or would like more information on this equipment, PLEASE CALL US AT 1-888-736-5094!